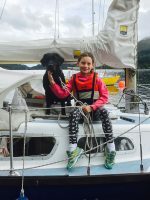 Thunder and torrential rain were an apt reminder that "SAR don’t wait for good weather to rescue us, they come when we need them..."
Disabled sailor Natasha Lambert, 19, has climbed Cairngorm mountain, sailed through Lochs and Sounds in the Highlands and negotiated the Caledonian and Crinan canals. 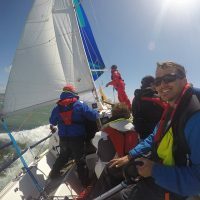 Nearly 40 yachts gathered for the ‘Bring Your Hurley Home 2016’ in Plymouth to mark 50 years since the first production of the Hurley 22 and Hurley 18. 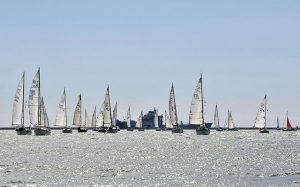 Organisers of the J.P. Morgan Asset Management Round the Island Race said this year will go down in history as 'a windy edition of the event'. 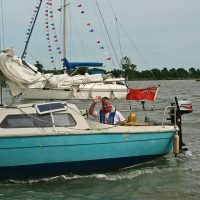 Anna Millington, an electronics engineer from Ferndown, Dorset won the restored PBO Project Boat, after being picked at random from almost 6,000 competition entries. Visitor numbers were down on last year's footfall of more than 112,000 people across 10 days, however exhibitors reported strong sales from this year's event. Hundreds of visitors to the 38th Beaulieu Boatjumble enjoyed free expert advice and demonstrations at the debut PBO Ask the Experts Live! event.